Research Description: Research: Nonprofit accountability; foundation strategic choice making; foundation accountability; ethics and public policy. Professor Fleishman's books: (Co-authored with Thomas J. Tierney)Give Smart: Philanthropy That Gets Results, was published by PublicAffairs Books on April 18, 2011. The Foundation: A Great American Secret--How Private Wealth is Changing the World, was published by PublicAffairs Books on January 9, 2007. Fleishman, J. "Putting Wealth to Work: Philanthropy for Today or Investing for Tomorrow?." Public Affairs (2016). Joel Fleishman joined the faculty of Duke University in 1971, combining his background in public policy and law as founding director of the Institute of Policy Sciences and Public Affairs, a position he held until 1983. 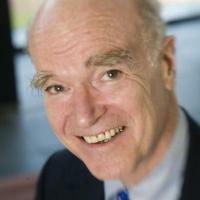 He has been professor of law and public policy studies since 1974. Fleishman became chairman of the Duke Capital Campaign for the Arts & Sciences and Engineering in 1982, which raised more than $200 million in endowment. He was appointed vice president of the university in 1985, senior vice president in 1988, and first senior vice president in 1991. Fleishman relinquished his administrative duties in September 1993 to become president of The Atlantic Philanthropic Service Co. Inc. in New York City, which he directed until January 2001, at which time he was appointed senior advisor at APS Co. Through his years with APS, Fleishman continued as part-time professor of law and public policy studies and director of the Sam and Ronnie Heyman Center for Ethics, Public Policy and the Professions within the Terry Sanford Institute of Public Policy at Duke University. He returned to full-time status in those positions on July 1, 2001. Fleishman’s scholarly work reflects his long-standing interest in ethics, public policy and not-for-profit organizations. He was co-author of Ethical Dilemmas and the Education of Policymakers in 1980 and co-editor of Public Duties: The Moral Obligations of Government Officials in 1981. He has also written articles concerning urban studies, the postal service and the financing of federal elections. His most recent articles have focused on public trust in not-for-profit organizations. . His book The Foundation: A Great American Secret--How Private Wealth is Changing the World was published in 2007 by PublicAffairs Press. A paperback version containing a new, updated introduction was released in 2009. He serves as chairman of the board of trustees of the Urban Institute and as trustee of the Jewish Theological Seminary of America; the Artscroll Mesorah Heritage Foundation; the American Hebrew Academy; and the Partnership for Public Service. He is also chairman of the visiting committee of the Kennedy School of Government at Harvard University ; He was elected in 2003 a Fellow of the American Academy of Arts & Sciences.